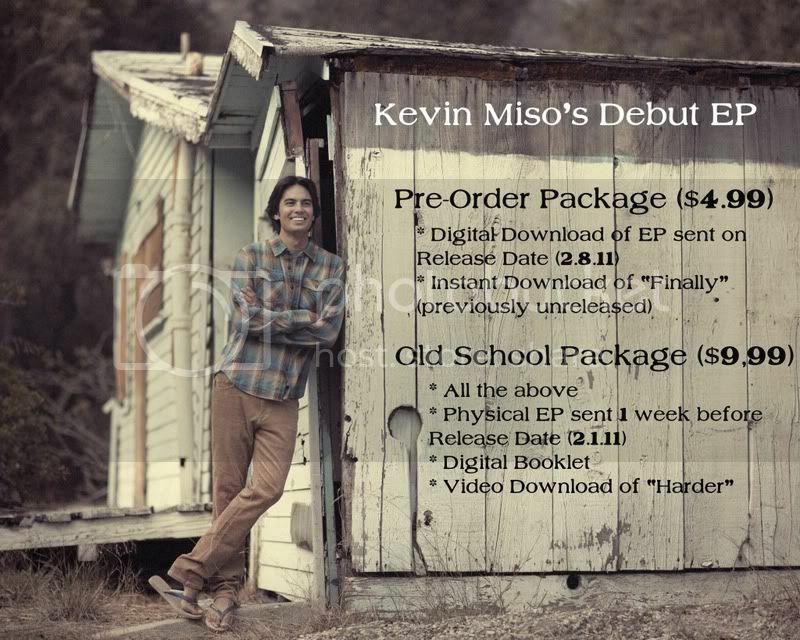 Kevin Miso - Pre-Order Kevin Miso’s debut EP!!! This is a Pre-Order: Immediately upon purchase you will receive a download of "Finally" - a previously unreleased track from Kevin Miso's EP. The remainder of the album and all digital content will be delivered to you via e-mail on the EP release date, February 8, 2011. The physical EP (Old School Package) will be shipped directly to you one week in advance, February 1, 2011!